Color is the prominent feature in this piece and I wanted to mimic the color of Los Angeles 2019, but it was also a way to create the poster as an advertisement. 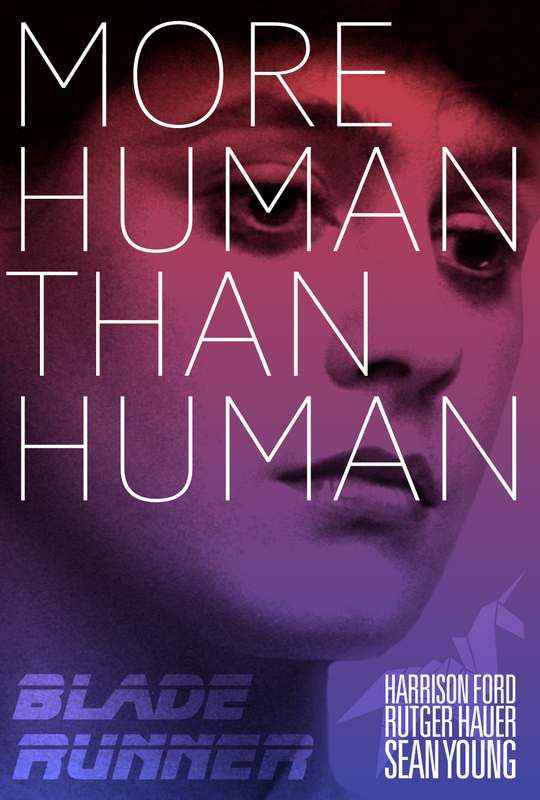 “More human than human” isn’t just a White Zombie song, but it’s the slogan of the Tyrell Corporation and the central theme to the movie. And we know that Rachael is more human than human…but is Deckard? To be fair, I still don’t think I did it justice. Maybe I’ll revisit it later.